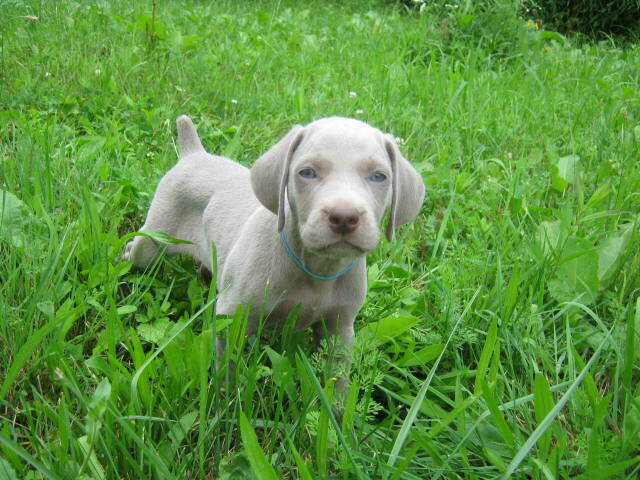 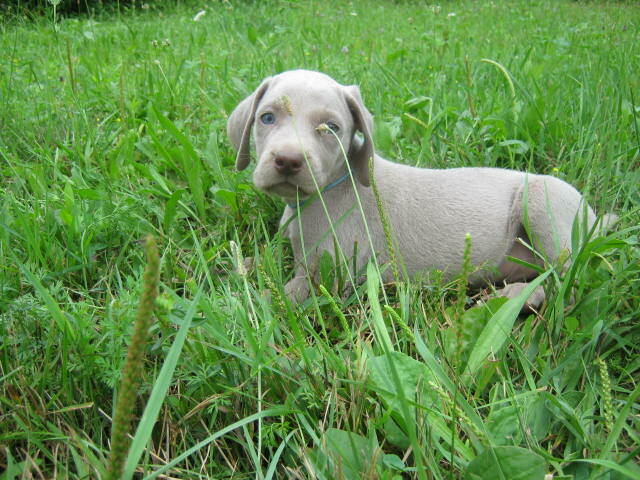 The Blue Collared Male is a very nice looking Silver Gray boy! 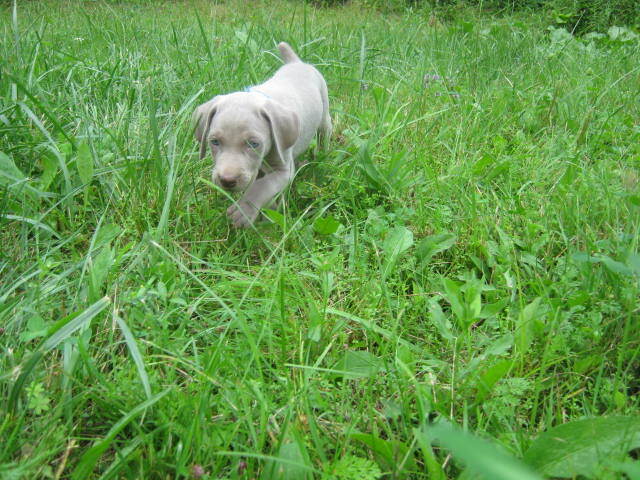 He is super confident and outgoing and like adventures. 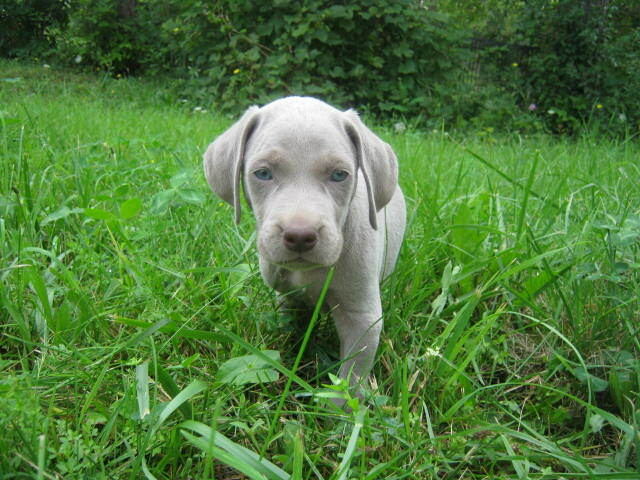 He is another big Gunnar son with medium-large bone and correct structure.